Flamenco superstar, Farruquito is heir to Spain’s legendary Farruco dynasty. Regarded as one of the most faithful representatives of flamenco puro, Farruquito performs intimate, authentic, and visceral flamenco. Flamenco superstar, Farruquito is heir to Spain’s legendary Farruco dynasty. 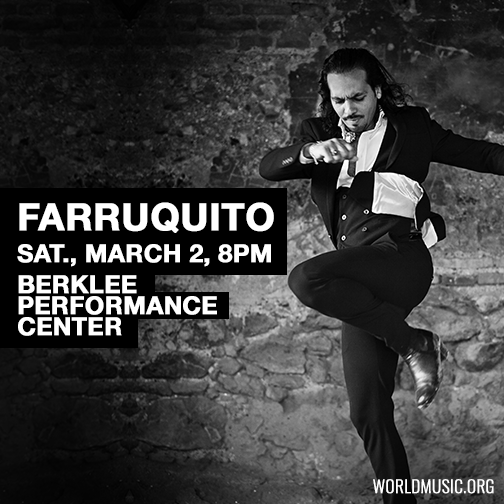 Regarded as one of the most faithful representatives of flamenco puro, Farruquito performs intimate, authentic, and visceral flamenco. For this new program, he will be accompanied by three singers, five musicians, and two additional guest dancers.